Circulating tumor-cell (CTC) count could be used to choose hormone therapy or chemotherapy as frontline treatment for patients with estrogen receptor-positive (ER+), HER2-negative (HER2-) metastatic breast cancer, according to data from the phase III STIC CTC clinical trial presented at the 2018 San Antonio Breast Cancer Symposium, held Dec. 4–8. 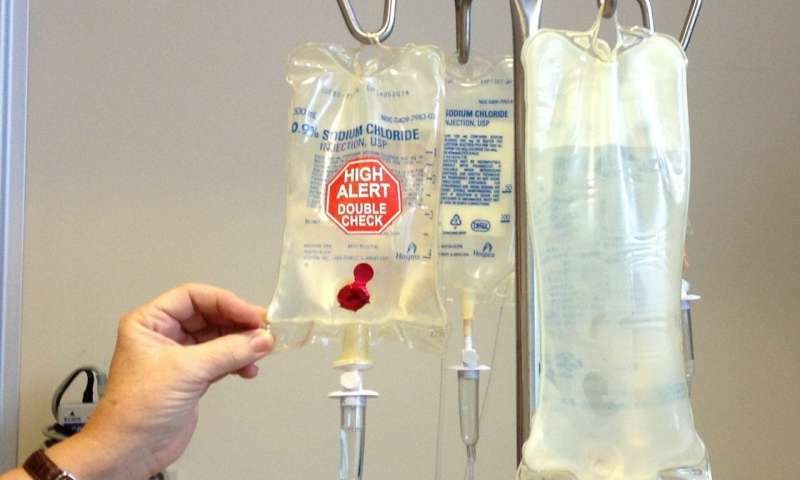 In the case of discrepancy between CTC count-based treatment choice and physician's choice of treatment, frontline chemotherapy was associated with a significant gain in overall survival. "Two main treatment options exist for patients newly diagnosed with metastatic, ER+, HER2- breast cancer: hormone therapy or chemotherapy (eventually followed by maintenance hormone therapy). There is unfortunately no validated predictive biomarker to guide that choice," said Francois-Clement Bidard, MD, Ph.D., Professor of Medical Oncology at Institut Curie (Saint Cloud, France) and University of Versailles. "Since the 1990s, no trial has assessed the question of front-line therapy, and our results suggest that modern prognostic biomarkers, such as the CTC count, may lead to better patient survival," Bidard added.